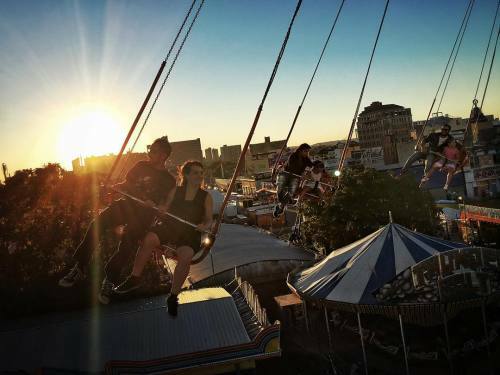 Several couples spin over Coney Island on one of the aerial amusement rides at Luna Park, the sun setting on the day and the summer. Over the last 10 days I've had the distinct honor of being chosen by Apple to receive an early release of the iPhone 6s Plus - and I've been shooting several photo essays with it. The camera is amazing. The files are super large and crisp and I can't wait to shoot more. #photojournalism #documentary #reportage #streetphotography #iphone6s #iphone6splus #apple #sunflare #nyc #newyorkcity #lunapark #boardwalk #amusmentpark #coneyisland #brooklyn #kindofawesome" By benlowy on Instagram.